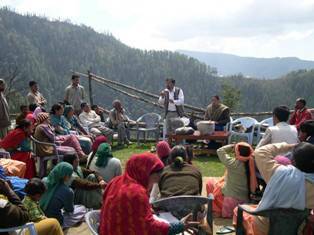 Technical services and material of selected Himalayan medicinal plants, mushroom cultivation, vermiculture biotechnology and vermicompost were provided to different institutes, organizations, departments and progressive farmers on regular basis. HRG also provided technical support for the formulation of agriculture diversification programme to the DRDA, District Mandi H.P. 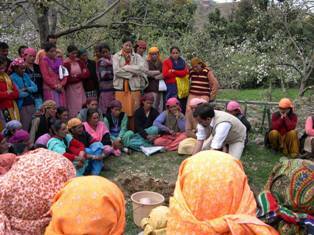 through propagation of medicinal and aromatic plants cultivation. 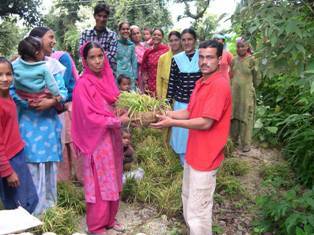 Specialized trainings with practical demonstration on mushroom cultivation and vermicompost preparation were provided free of cost to the Farmer’s Clubs organised by NABARD in H.P. 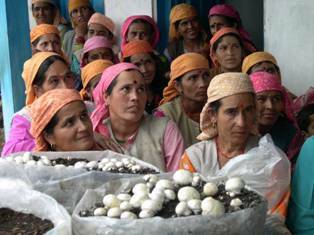 Technical training was also provided to women SHG’s organised by Department of Social Justice and Empowerment to set up mushroom cultivation units at household level. HRG is emerging as sole agency to provide farmer oriented technical services in mushroom cultivation, vermiculture biotechnology, MAP cultivation in the state of Himachal Pradesh.